I was adopted by my maternal grandparents at a very young age. They have been incredible parents to me. My brith-parents died when I was nine months old. The memories I know of my first mom and dad are mostly contained in a manilla envelope, a few items that decorate my apartment, and the stories that have been shared with me by my family. I have always felt a sadness that I am the closest to my birthparents (they created me) and yet I do not remember anything from the nine months we briefly shared. 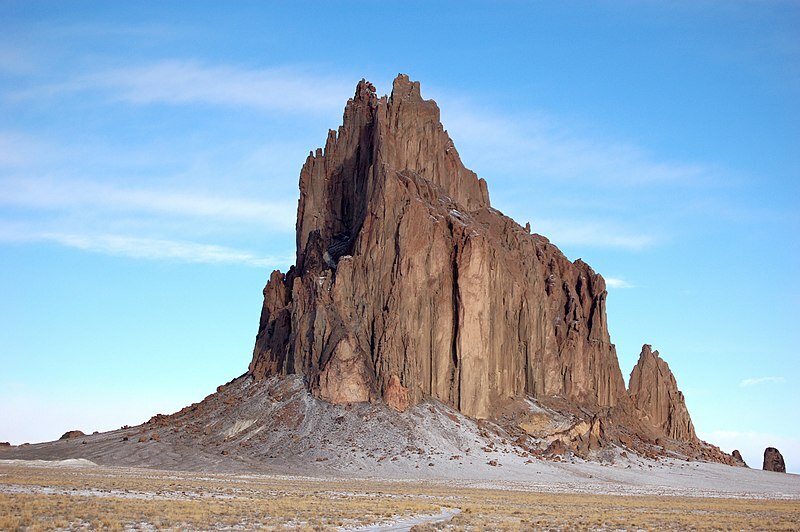 My birthparents were teachers on a Navajo reservation in Shiprock, New Mexico. Three small pieces of pottery from the reservation were given to me by my adopted parents as an ordination gift. They sit in front of me as I write this piece. They connect me to my roots. Next week, my spouse and I will be on vacation. I am counting down the days to play, rest, and read some good novels. We like going to the Southwest in the winter and hiking in the desert. The desert is a place of vibrant spirituality for me. I often experience God in the haunting silence of the dry landscape. I love New York City with everything in me, but I am very much looking forward to some silence next week. This year I decided that I would like to return to my birthplace and visit New Mexico. It will be the first time I have been back since I was born. A couple years ago I wrote a post describing my love for the word pilgrim. My ordination gift from my spouse is a tattoo on the top of my right foot with this single word: pilgrim. Psalm 84:5 in the NIV translation says, “Blessed are those whose strength is in you, whose hearts are set on pilgrimage.” My upcoming trip is not just a vacation; it is a pilgrimage. I will return, for the first time, to the land that I was born, knowing that it will be holy ground. On All Saints Sunday at my church, I preached, like many preachers that day, on the saints who have gone before us. I asked my congregation, “If you could sit down and have a cup of coffee with a saint who has gone before you to talk about their faith and how they understood God, who would you invite?” I told my congregation that I would invite Mary Magdalene and I would also invite my birthparents. In my manilla envelope are two offering checks made out to Sacred Heart Church, one from my dad and one from my mom. On each check there is a giant stamp that says “paid.” These checks represent a way my parents practiced their faith. It is part of their tithe to their church. Next week my beloved and I plan to go to mass and worship at the same church my birthparents did. I’m not sure what I hope to discover. I don’t think I have a goal in mind. I know a few places to visit but this is more about the journey than it is the destination (as all pilgrimages ought to be). I know I need to be back on the land I was born, I know I need to worship at the church my birthparents worshipped at, and I know I need to visit the reservation where they taught (and where I also lived for a month of my life). I think this may be the closest thing I can get to sitting down and having a cup of coffee with my birthparents this side of Gloryland. Whenever we go through the treasure chest of memories, whenever we drive to the grave of a loved one, whenever we reread letters from the deceased, whenever we tell stories of those who have gone before us — we are embarking on a pilgrimage. I’m grateful for the opportunity for vacation that will include going back to the land I was born on. I am entering an unknown and I feel God’s presence immensly. Grace and peace upon the pilgrimage you are on and grace and peace upon the pilgrimage I am on. Blessed are you whose strength is in God, whose hearts are set on the pilgrimage. Jes, I am praying for you over the next couple of weeks. I hope that no matter what you feel, remember, experience, you know that the God whose love is powerful enough to form the rocks in that picture also holds you in her arms. As I read this, I'm reminded of Barbara Kingsolver's beautiful Animal Dreams, a book you might want to consider reading near your pilgrimage (if you haven't already). Jes, this is a wonderful post. Heart-felt, loving, aspirational, a little sad, a lot joyful.